Geneva is a small city in Switzerland, but with lots to offer. Sitting on the southern tip of Geneva Lake, it is a home to UN’s headquarters, many agencies, and the Red Cross, which makes it a global center of diplomatic and humanitarian activity. With just few kilometers from border with France, Geneva is greatly influenced by French language and culture, both in cuisine and in night life. Recognizable symbol of the city is Jet d’Eau fountain, shooting up water 140m above the lake. The Old Town with its cobbled streets is home to famous Flower Clock in finely landscaped Jardin Anglais and historical landmark of Reformation – St. Pierre Cathedral. City center is lined with high-end Swiss watches and chocolate shops, something that Switzerland is famous for. The Geneva Water Fountain. Originally designed in 19th century to solve energy problems for local manufacturing, nowadays this is famous attraction admire by tourists by pumping water 140 m into the air. St Pierre Cathedral. A 12th century landmark cathedral in Geneva. World famous as the home church of Protestant Reformation leader John Calvin. Palais des Nations. The United Nations building with Head Quarters and park, offering tours in different languages. L’horloge fleurie. An unique and Iconic garden clock made of flowers. Located in Jardin Anglais park. Reformation Wall. Historic monument wall with many sculptures of people involved in Protestant Reformation, including John Calvin. Jardin Anglais. A 19th century created park with Iconic green space and famous flower clock. International Museum of the Red Cross and Red Crescent. Founded in 1988, this museum hosts permanent exhibition about immense humanitarian work of the Red Cross and Red Crescent. Bains des Pâquis. Public bath houses and winter saunas located on the peer of Geneva Lake. Musée Ariana. Museum with a dome, hosting large collection of about 25,000 items of glass and ceramics. Parc des Bastions. Green urban oasis, featuring giant chess boards and a botanical garden. Musée d’Art et d’Histoire. Founded in early 20th century, this is a largest museum in Geneva, hosting art exhibits from prehistoric times until modern era. Tavel House. City museum in a renovated medieval house from the 12th century. Natural History Museum of Geneva. Large museum with displays of fauna, minerals, and science exhibitions. Patek Philippe Museum. Museum of the famous watchmaker, covering its tradition from the 16th century. Broken Chair. A 12m high sculpture of a chair, promoting peace and raising awareness of dangers of cluster bombs and land mines. 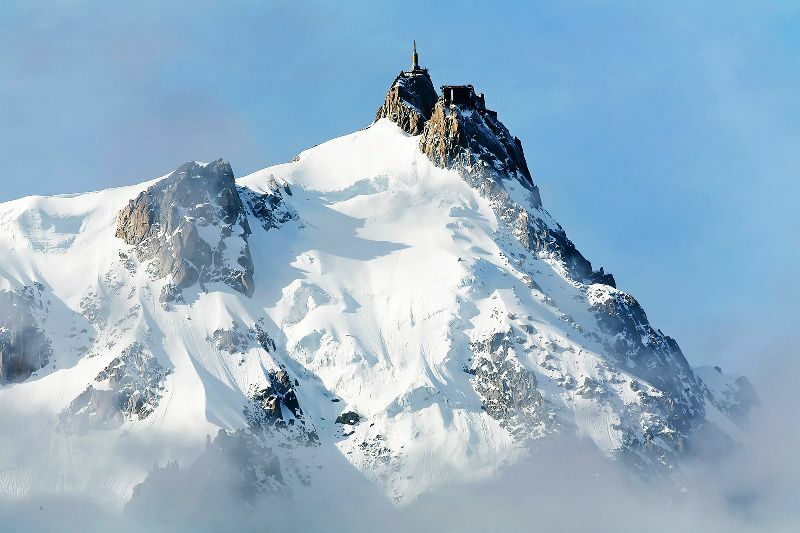 From other attractions we recommend: Place du Bourg-de-Four, Brunswick Monument, Mamco – modern and contemporary art museum, Conservatory and Botanical Garden of the City of Geneva, Pont du Mont-Blanc, Parc de La Grange, International Museum of the Reformation and more. Listed attractions are must when visiting Geneva, and there are many more. Don’t forget to try lake cruise, they offer different options, dinner cruise or just sightseeing. Also, passing by Geneva and not going for shopping for at least Swiss chocolate would be waste of visit! 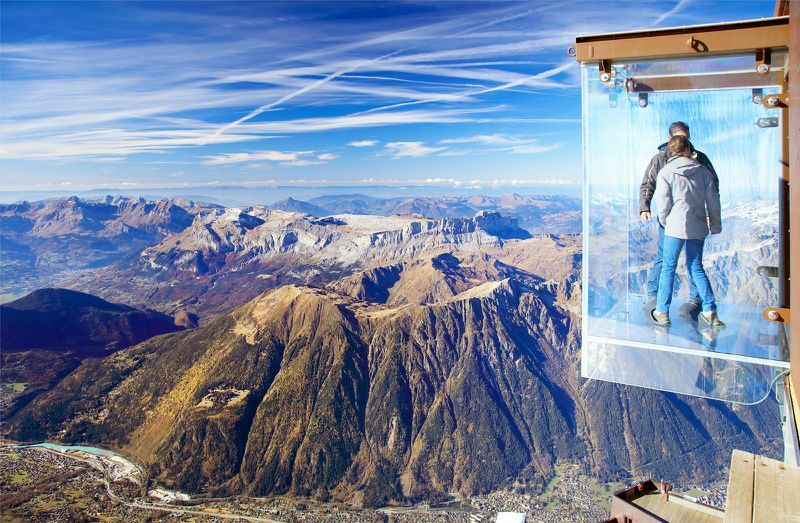 Once you explore Geneva, you can embark onto surrounding areas – visit various Alpine destinations, even engage in some hiking or winter sports. 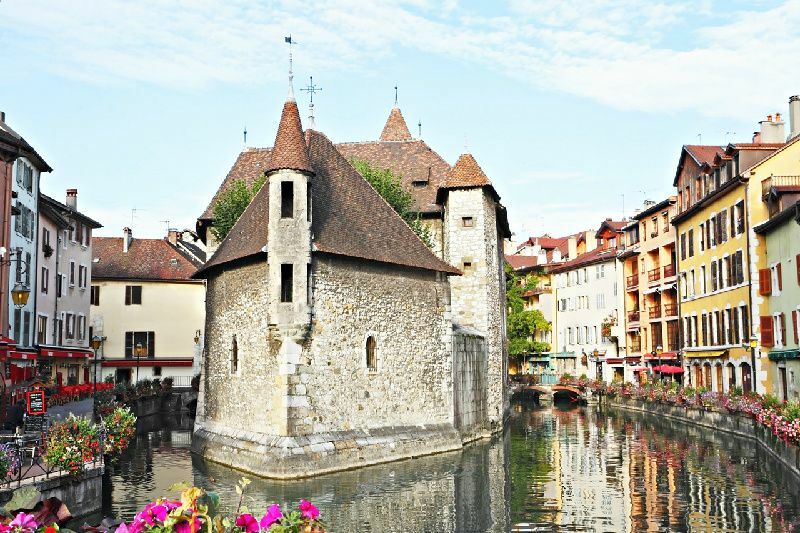 You can also visit other Swiss cities, such as Zurich, Lucerne, Bern, or go for nearby Annecy in France. The peak season for flights to Geneva is January, March and December. The low season for purchasing tickets is May, June and October. Geneva is served by Geneve Airport (GVA). 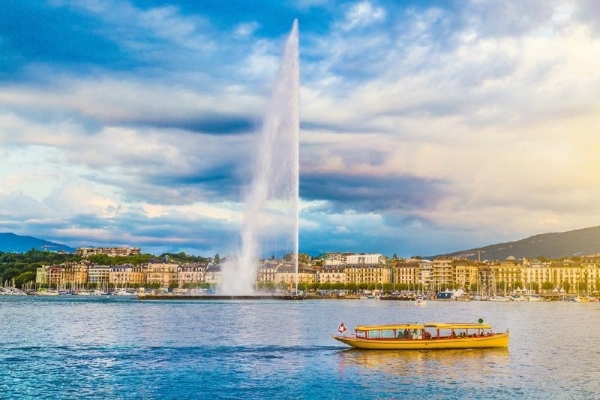 Direct flights to Geneva are offered by 42 airlines.